Brian Plott joined HelmsBriscoe as Regional Vice President in September of 2018. Based out of Winter Garden, Florida, Brian works with the corporate team and the Florida team to provide strategic direction and support of new business development, client acquisition and retention, business planning, and Associate recruitment. Brian has developed a client-centric approach and a passion for people that leads to success. His style and philosophy, paired with the global resources HelmsBriscoe has to offer, presents an ideal opportunity to assist organizations and individuals in making their meeting placement the best it can be. Brian started his career in the hotel industry at the age of 15 and has more than 20 years of experience in sales and marketing. Brian has worked in a variety of sales and leadership roles for three hotel brands, including Hyatt Hotels, Universal Orlando/Loews Hotels, and Four Seasons Hotels and Resorts. In these roles, Brian achieved incredible results that solidified the financial success of some of the top resorts and brands in the industry. He has successfully opened two mega-resorts as Director of Sales in Orlando, most recently the Four Seasons Resort Orlando. 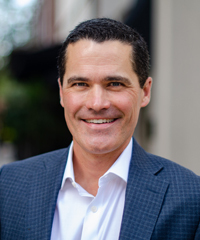 Throughout his career, Brian has been an active member of Meeting Professionals International, the Professional Convention Management Association, and Financial and Insurance Conference Planners.